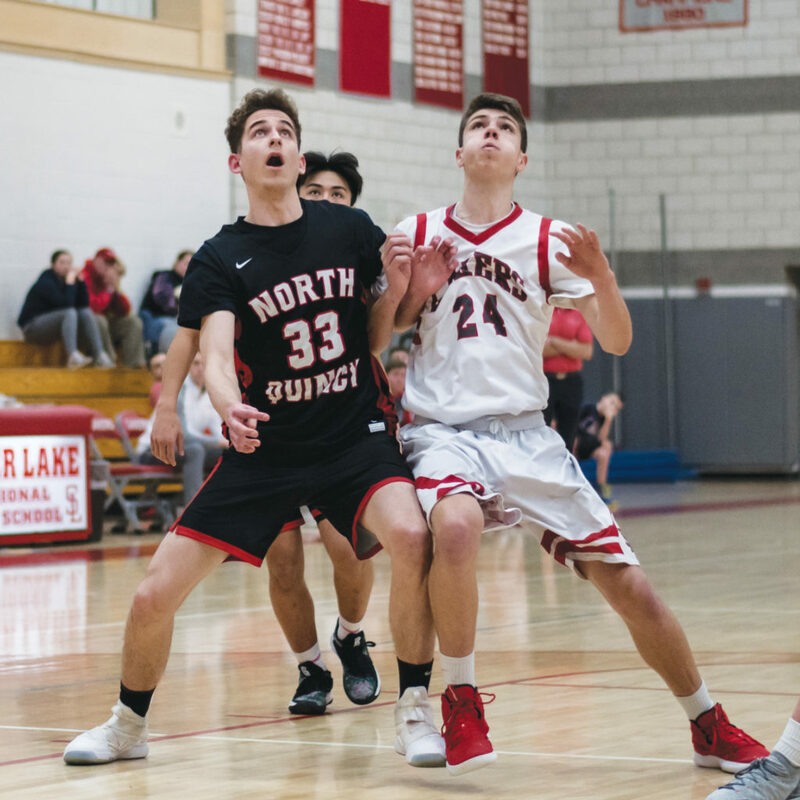 The Silver Lake High boys’ basketball team was dominant in the second half against a tough opponent, and their prowess from the floor made the difference. The Lakers hosted the Quincy High Presidents on Wednesday, Jan. 30 and walked away with a 61-47 win. With the win, they improved to 7-6 on the season, according to MaxPreps. The Lakers found themselves in an early hole with the opposition leading 15-6 late in the first quarter. However, a Ben Lofstrom fast break and layup gave the team some momentum–which carried over into the second quarter. A couple of minutes into it, Lotstrom hit a three-pointer, bringing the Lakers within two points 18-16. Still, the Lakers would not end up holding the lead just yet. That happened as the third quarter progressed. Down 39-35 early in the third quarter, Silver Lake’s offense exploded. They went on a 26-5 run which extended well into the fourth quarter and ended up being the difference maker in the bout. Lofstrom tied the game at 39 apiece while a Josh Gilbert three pointer at the end of the third quarter gave the Lakers a 42-39 run. At the beginning of the fourth quarter, a three pointer from Danny Duggan extended the team’s lead to 45-41, and they continued pulling away. Duggan and Matthew Bettle sank back-to-back three pointers in a 12-0 run which put the Lakers up 57-43 with a few minutes left in the game, essentially putting the contest out of reach for Quincy. In the win, the Lakers hit 53 percent of their shots, including 62 percent of their three pointers and 85 percent of their free throws. Meanwhile, they held Quincy to a 38 percent field goal rate. The Lakers next bout is this upcoming Tuesday, Feb. 11 on the road against the Falmouth Clippers (6:30 p.m. start time).